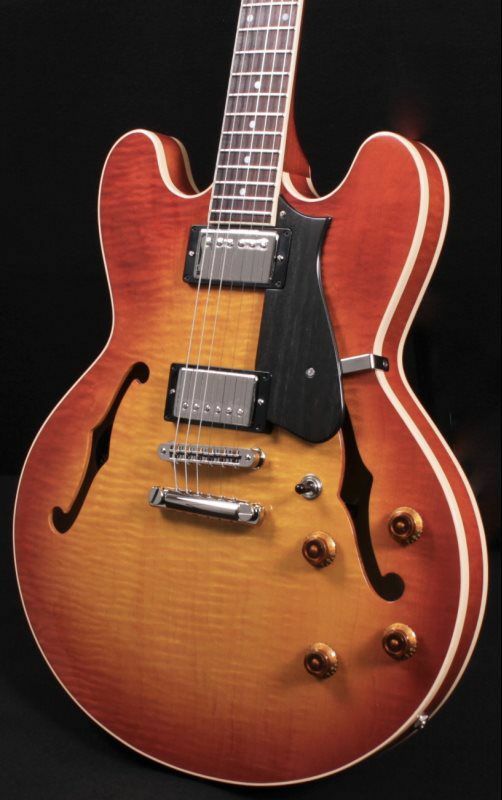 This is the next generation of the semi-hollow body guitar that Gibson created in 1958!! This particular guitar is well balanced with Duncan 59' pick-ups in neck and bridge positions. - The perfect pairing for this classic instrument! Heritage Guitar Inc. of 225 Parsons Street in Kalamazoo, Michigan was incorporated on April 1, 1985. The company is going on 30 years old, it has achieved the status of one of the premier guitar companies in the world today. It is, in many instances, the new guitar line handled by countless vintage shops throughout the world. This indicates it is thought of as the collectible guitar of tomorrow. 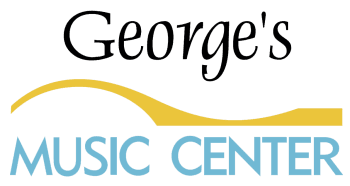 The idea to start Heritage Guitar began when the Gibson Guitar Corporation closed its Kalamazoo, Michigan factory in September of 1984 and moved all production to its other plant in Nashville, Tennessee (in operation since 1975). When this took place, some of the employees were asked to move to Nashville. However, since their families had spent many years in Kalamazoo, it made it difficult to uproot and move. Therefore 3 men, Jim Deurloo, Marvin Lamb, and JP Moats, decided to start a guitar manufacturing business. In 1985 when the company was incorporated, 2 other former Gibson Guitar Corporation employees, Bill Paige and Mike Korpak, joined as owners. Mike left the company in 1985. The founders biggest resource is and was the group of craftsmen they could draw from to begin operations. The owners themselves each had in excess of 30 years of hands on experience in making guitars. To this day each of the owners is directly involved in the manufacturing of each instrument. Heritage started operations in the oldest of five buildings formerly owned and operated by Gibson Guitar Corporation. That building was completed in 1917 and has been a center for guitar manufacturing ever since. Much of the machinery that Heritage uses today, was purchased from Gibson Guitar Corporation. Body - Laminated Cream Bound Curly Maple Top and Back with Solid Curly Maple Rim. 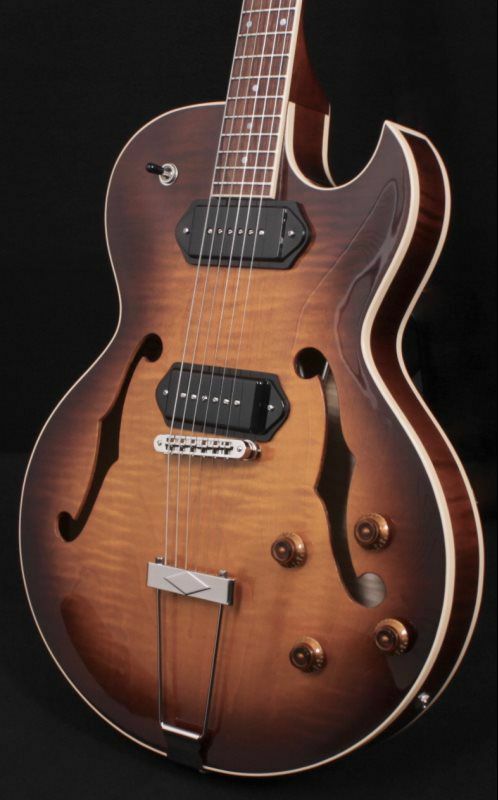 We custom ordered this hollow body guitar for stock, it just arrived and as we opened the case Stephen and I gasped, it exceed our expectations! 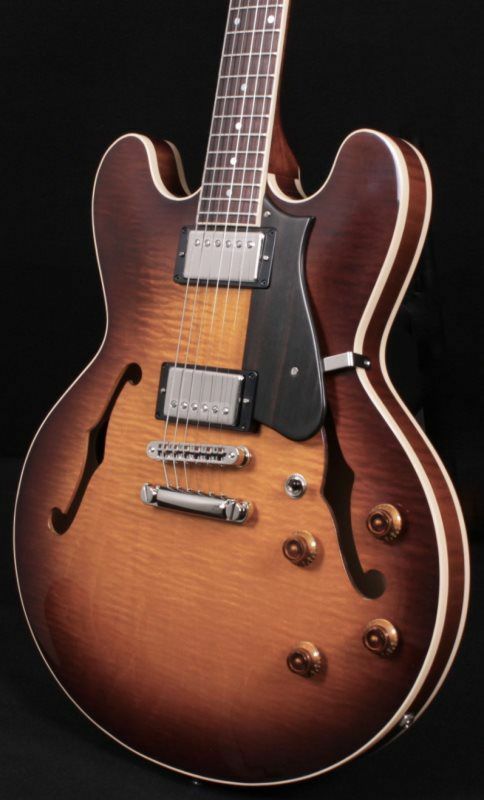 The finish is reminisent of a Gibson hollow body of the 1950’s. The neck has enough beef to it, but very comfortable. 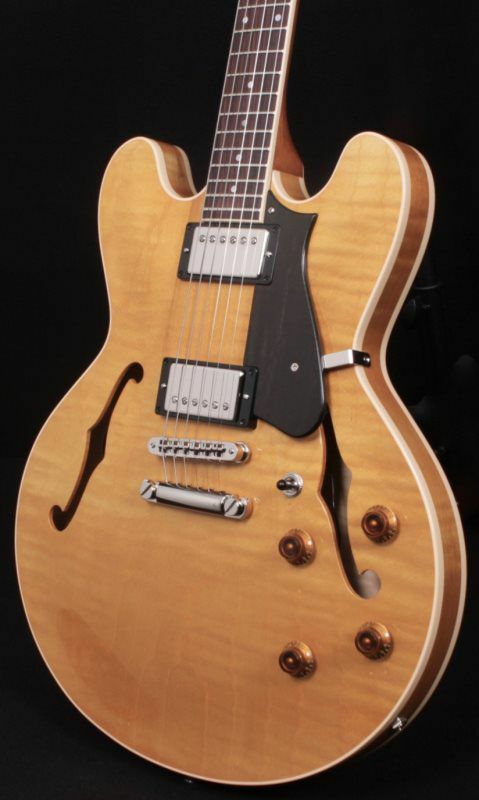 The Lollar P-90’s are a perfect fit! 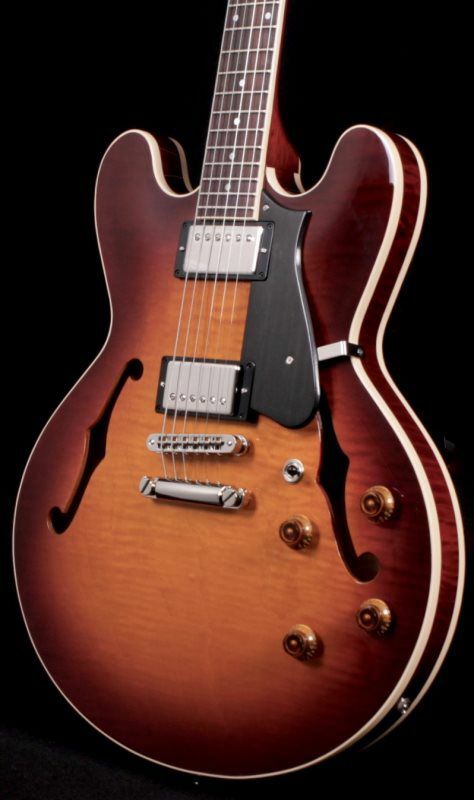 If your looking for a hollow body, look no further - this guitar is a work of art! !